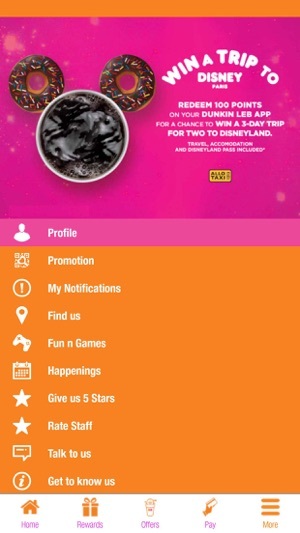 Welcome to Dunkin Leb App! 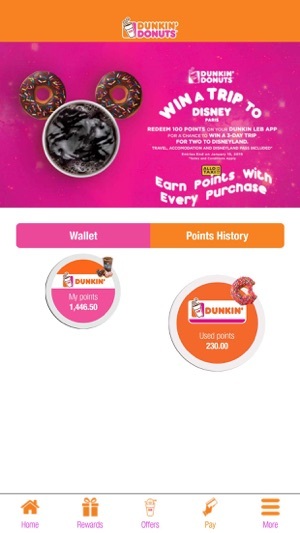 "Dunkin LEB is Available ONLY for DD Lebanon Customer Loyalty Program"
Enjoy Paying with the App and Collect Points to WIN Amazing Rewards. - In store wallet Recharge. 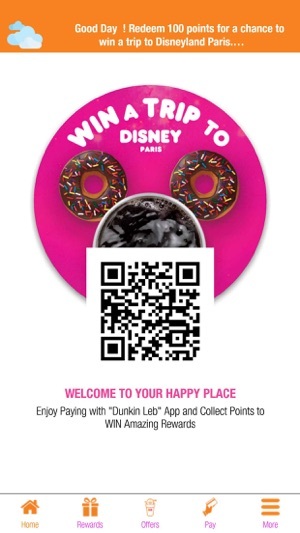 - Scan and Pay with your QR code. 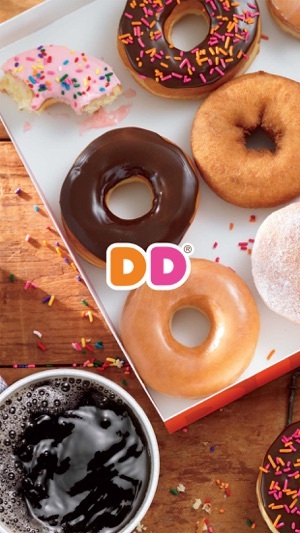 Thanks for using Dunkin Leb! We update the app regularly so we can make it better for you. We have added interactive notifications and an option to register with facebook. Get the latest version for all the available features and enhancements. 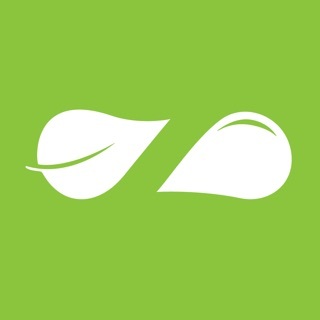 I loved the idea behind the app, I liked the points system and the payment through the app with the pre paid vouchers. I expect in the next versions of the app to improve the design and the user experience (specially navigation between things). While at Beirutsouks I won a voucher allowing me to get 3 free coffee combos! (Coffee and donut). The next week i downloaded the app and entered the code only to get that the gift expired! The voucher didnt have any expiry date nor a note to redeem prize within couple of days. This one star is for discrepancy and lack of integrety in dealing with customers! I tried to attach the pictures showing the voucher and declined gifts but apparently cant attach pics to prove here!